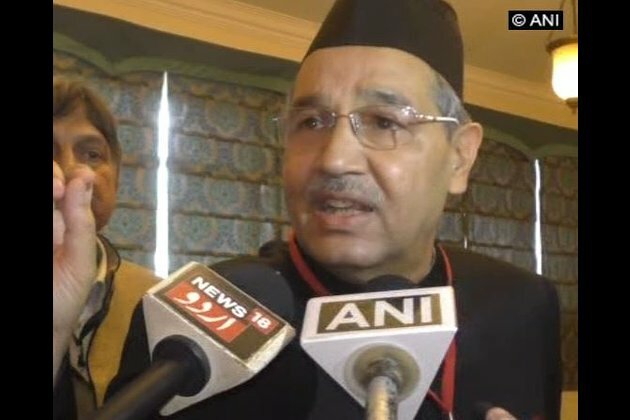 Aligarh (Uttar Pradesh) [India], Oct 16 (ANI): Aligarh Muslim University (AMU) Vice-chancellor Tariq Mansoor on Tuesday clarified that the university administration has not slapped sedition charges against any Kashmiri student. This came following Kashmiri students' demand to drop sedition charges against peers. Speaking to ANI, Professor Mansoor said: "The imposition of sedition charges comes under district administration. We have requested the authorities to conduct a thorough investigation into the matter and spare those who are innocent." On October 15, three Kashmiri students of AMU were reportedly slapped with sedition charges for allegedly raising anti-India slogans and trying to hold a prayer meeting to mourn the death of Hizbul Mujahideen commander Manas Bashir Wani. Subsequently, around 1,200 Kashmiri students threatened to leave their studies midway if the sedition charges against the students were not withdrawn. Elaborating on the incident, Professor Mansoor said that an FIR was registered by the police station in charge and the university has not filed any complaint against any student. "The FIR was filed by the Chowki in charge and not by us. No university official is involved in filing the complaint against the students," he said. "The Registrar of the university only gave show-cause notice to some students and had suspended two boys. We have formed a committee which will look into the matter. Suspension notice against the students will be cancelled and the show cause notice will be withdrawn if they are found innocent," he added.